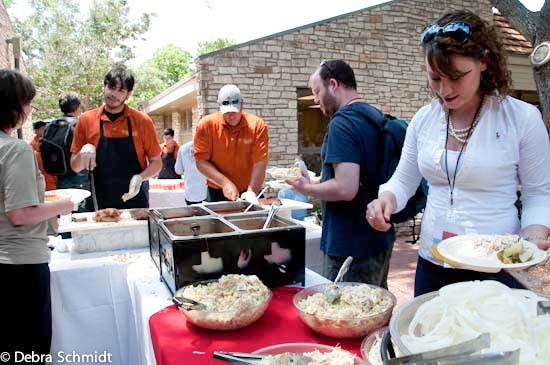 Happy Joe is absolutely thrilled to announce that our lunches for WP BootCamp Austin will be catered by none other than POK-E-JOs Smokehouse. 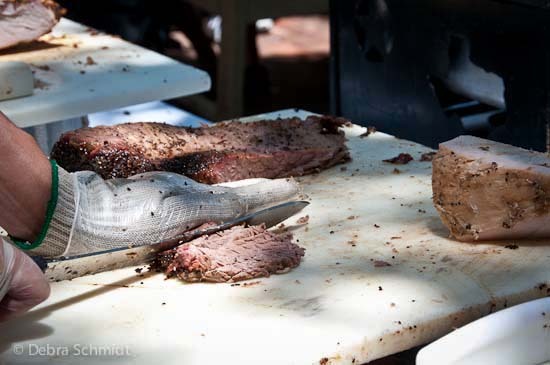 POK-E-JO’s will offer a Mesquite smoked barbecue buffet that will make your mouth water. In addition to the smoked Texas brisket and other carnivore treats, POK-E-JO’s also offers a tasty vegetarian option for those not inclined to enjoy ribs and brisket. Meat choices will be mesquite-smoked beef brisket, all beef sausage, lemon pepper glazed chicken, St. Louis cut pork ribs, Texas style pulled pork, and hand basted breast of turkey. The meal includes sides. The meal is served with BBQ sauce, kosher dill pickles, onions, jalapenos, white & wheat bread. Beverages will include iced tea, lemonade, water, and all beverage condiments. Dessert is white chocolate macadamia nut cookies. The vegetarian/vegan table consists of fruit salad, potato salad, green salad, mac and cheese and vegetarian skewers. When POK-E-JOs BBQ catered the 2012 & 2013 Austin WordCamps, attendees filled the Twitter-verse and Facebook with pictures and ‘umm–umm good’ comments about the delicious food that POK-E-JO’s served up. So we know we have a home run here. None of this awesomeness would be possible without the tasty support of WP Engine, the coolest website hosting company south of the Red River .. OK, maybe even the coolest company north of the Red River too! Our friends at WP Engine have stepped up to support the Happy Joe mission of introducing veterans to the opportunities in web technologies by sponsoring this year’s WP Boot Camp POK-E-JO’s lunch time buffet. HOOYAH!